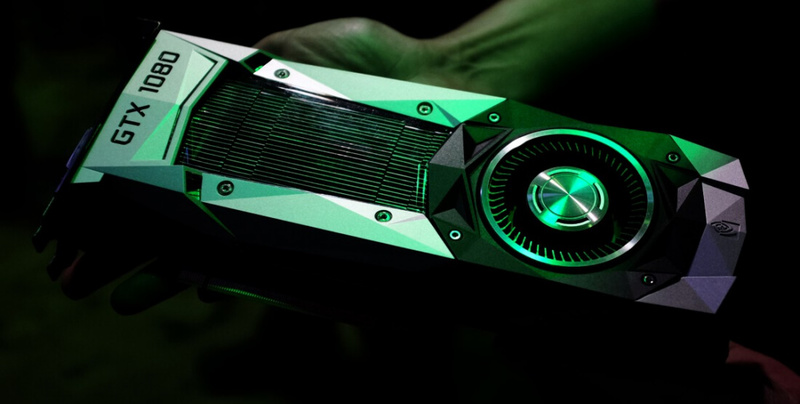 Nvidia's new collection of Pascal-based graphics cards, headed by the GeForce GTX 1080 and GTX 1070, has led the company to a record-breaking second quarter of their fiscal year. For their fiscal Q2 2017, Nvidia has reported $1.43 billion in revenue, which is up 24% on the same quarter last year. This beat the expectations of analysts, which were closer to the $1.35 billion mark, thanks to strong demand for Nvidia's new graphics card line-up. In fact demand has been so great that many Pascal-based GeForce cards, particularly the GTX 1080, remain out of stock at popular retailers like Newegg. Nvidia's profits have increased massively year-on-year as a result of higher revenue and lower operating costs. Operating income has quadrupled (up 317%), rising from $76 million in the same quarter last year, to $317 million this year. Net income is up a staggering 873% from $26 million to $253 million. On the back of these strong results, Nvidia shares have risen by two percent in after hours trading. The company expects next quarter to be just as strong, with expected revenue of $1.68 billion with a gross margin around 57.8%. This upcoming quarter could be bolstered by the release of Nvidia's notebook discrete graphics chips, along with a rumored GTX 1080 Ti using GP102 silicon.